Presenting the "Bitter Valentine Trio" for Sassy Pants Polish's Valentine's Day '19 Collection! 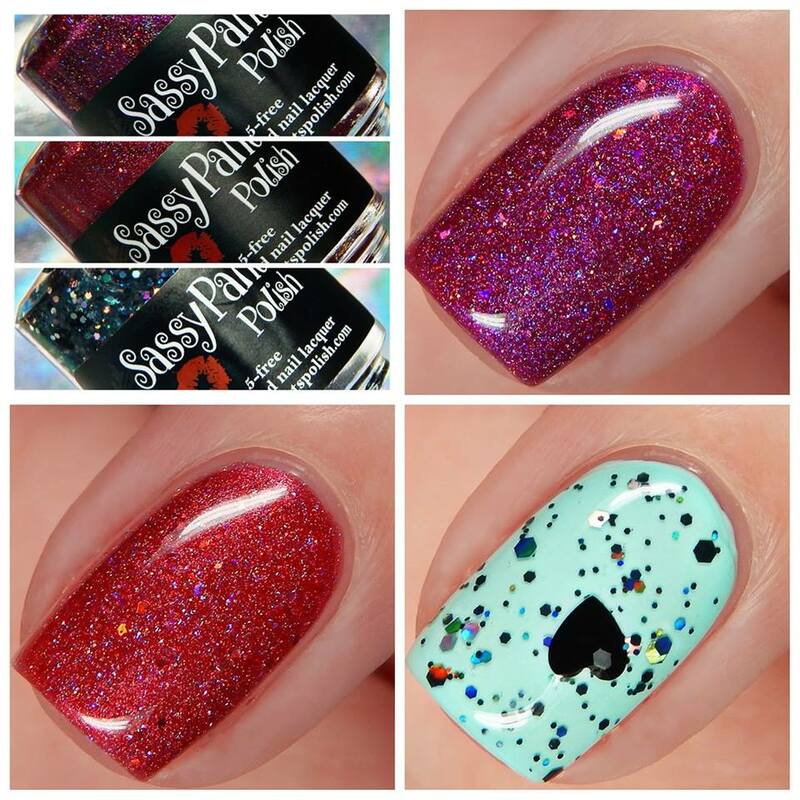 These sultry holographic beauties are perfect for Valentine's date night or rocking solo at the Black Hearts Ball! Sold individually or discounted here as a trio. Please note: Mint undie not available. 1. Bite Me, is a crimson red scattered holographic polish with fire red holo microshreds. 2. Stupid Cupid, is a vibrant magenta scattered holographic polish with bright pink holo microshreds. 3. Black Hearts Ball, is a clear base topper with assorted black holographic glitters, silver holo hex glitters and black heart shapped glitters.